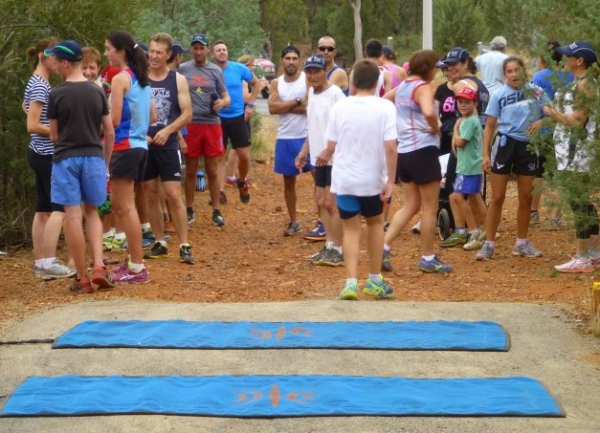 Set on picturesque Scenic Hill in Griffith, the Half on the Hill is trail running at its best. Starting at the radio station on Remembrance Drive (see "Getting Here" below), runners do a 4km loop around the race course before heading into the base of the hill. 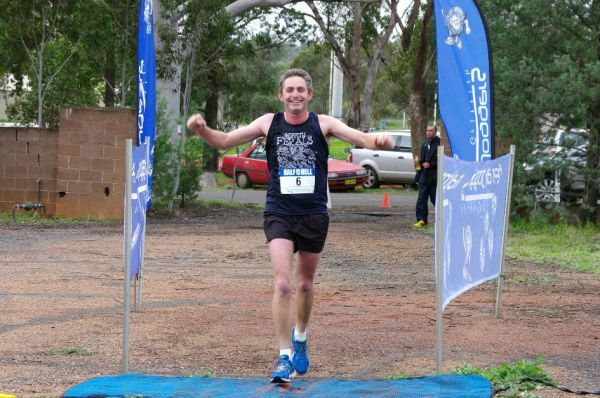 A flat run around the golf course and rodeo grounds turns into a scenic hill climb as you enter suburban Griffith. The half-way point (and change-over point for the teams) is at the top of Collina Oval. From here the work begins as you climb to the top of Scenic Hill and some incredible views of the City of Griffith. Some say the hard work is over as the hills are all done but don't be fooled - there is still 9km to go! Bend your way around the western base of Scenic Hill and back to where you started at the radio station and the glory of finishing. 2. The 2 person team event (where you each run half the course). Teams are either male, female or mixed (1 male and 1 female). Online entries close 6:00pm 22 June 2018. Entries are only open to persons who are 16 years or older as at 24 June 2018 (see Race Rules). Prizes are awarded to the top 3 male finishers, top 3 female finishers and the winner of each team event. The run starts at the base of Scenic Hill, just 5 minutes from the Griffith CBD, with competitors meeting at the StarFM/2RG radio station on Remembrance Drive, directly opposite the entrance of Griffith Golf Club. If you are keen enough to fly in on the morning of the race then make sure you wear your runners on the flight as you are literally less than 1km from the start line once you land! After the race, grab some lunch at one of Griffith's amazing cafe's and restaurants. You won't be disappointed! 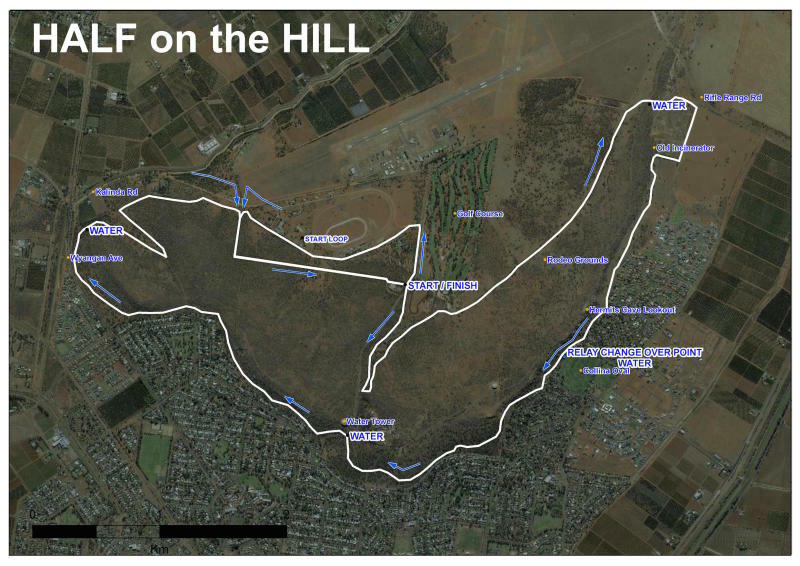 The Half on the Hill is an official event of the Griffith Feral Joggers. The Ferals meet at the green water tower on the top of Scenic Hill in Griffith, just opposite the entry to Pioneer Park, every Saturday rain, hail or shine! Run time is 4:30pm (5:30pm during daylight savings). All ages and abilities are welcome. Click here for more information. Travelling to Griffith? That's excellent. 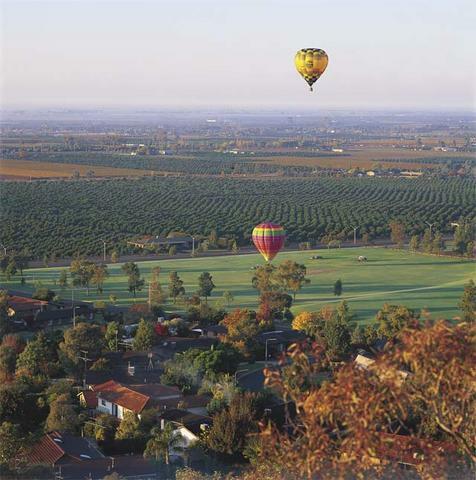 Come and make a weekend of it and enjoy all that Griffith has to offer - amazing wineries, great shopping and some of the best restaurants this side of the Blue Mountains. Not sure where to stay? Click here for some suggestions.